Well hello there! Haven’t I been slack? My most humble apologies at my lack of posting recently, I have no excuses other than to say I have been crazy busy. All this end of term stuff in teaching can really kick you to the kerb sometimes! Anyway. What I was planning on posting about today is money. That old chestnut. I’m sure I’m not alone in saying that the conversation revolving around having kids has had a LOT to do with the money factor. Namely, how the hell are we going to afford this? I know what you’re thinking – this is planned. There is/has been/will be tonnes of time to save cash. And in a sense you’re right. The last 8 months or so has been part of a plan to clear debts and stash some cash for the moolah dry spell that will be on us when parenting kicks off. However, a couple of unforeseen bumps in the road have meant that our coffers have been somewhat wiped out. We’re still hoping that life will balance itself out this year and allow us to catch back up, but for now we’re not in as great a spot financially as we were hoping. 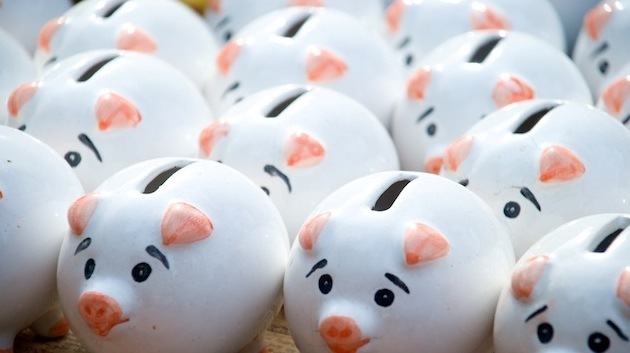 As a result of money worries, the inevitable question presents itself: the line of “there’s always a better time” is certainly true, so do we just bite the bullet and deal with being broke? Or do we put things on hold for 6, 12 months in the hope that our cash stores will bounce back up? Obviously the danger here is that something else may crop up, and how long do we wait for the perfect time, when there might not be one? At the moment we’re looking at a compromise. Our planned “trying” date was going to be May/June of this year. However living in the lucky country, the government is looking to increase the Paid Parental Scheme quite drastically from July 2015, which would give me 6 months of full pay. Hopefully we can then save enough to make up for another 6 months, and I’ll be in the fantastic position of being able to take a year off work. Here’s hoping. So that’s the update, I guess dealing with curveballs is good practice for having kids!